Sensational Summer Pre-Order Giveaway! - Gail Nall. one summer, three books, and lots to win! What is the Sensational Summer Pre-Order Giveaway? It's three YA authors -- myself, Jen Malone, and L.S. Murphy -- who want to share the summer lovin' with you! We have book swag to give away, and we have 2 fabulous grand prizes you can win. Our books are three fun, contemporary YA novels releasing this summer as digital exclusives. And we've got your whole summer covered! June, July, September . . . well, not August, but close enough. From photography and secrets in PIXELATED, to celebrities and European travel in MAP TO THE STARS, to theater and broken dreams in EXIT STAGE LEFT, we've got a little something for everyone. And, romance, of course. Lots of romance! Best of all . . . altogether they cost less than $10! Check out the covers below, and click on any of them for a link to retailers for that book. And then scroll down for contest rules and more information on each book and author. So, what is this giveaway, then? It's pretty simple. You preorder any (or all!) of the books you want, and the author(s) will send you the following for the specific book(s) you order! For PIXELATED, L.S. Murphy will send you a signed postcard of the cover, "original" Piper Marks photos, and a handcrafted ribbon bookmark. 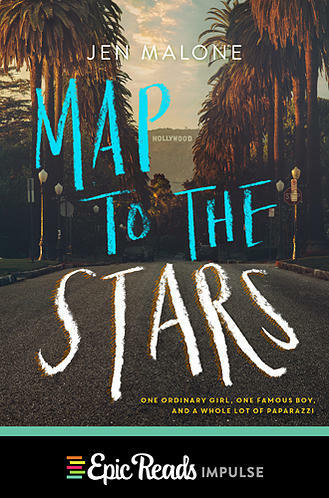 For MAP TO THE STARS, Jen Malone will send the first 30 people book swag goodies, and after that, will email everyone else a little gossipy dish about the book. For EXIT STAGE LEFT, Gail Nall will send the first 30 people two bookmarks and an enormous postcard. (Well, not that enormous, but bigger than your average postcard!) After that, she'll email everyone else a top-ten list of behind-the-scenes info about the book. We have two seriously amazing grand prizes to make your summer even more sensational! Two people will win three ARCs of highly anticipated contemporary YA novels pictured below. 2) Preorder any or all of EXIT STAGE LEFT, PIXELATED, and/or MAP TO THE STARS between June 22nd and June 29th from any retailer. If we've reached the cap on the mailed swag items listed above, we'll let you know! So . . . for less than $10 in pre-orders (not including tax), you'll get ten entries into the grand prize drawing, swag or virtual goodies for all three books, plus three lovely books to make your summer sensational! three summer reads sure to help you make the most of that hammock and beach time . . .
Gail Nall lives in Louisville, Kentucky with her family and more cats than necessary. She once drove a Zamboni, has camped in the snow in June, and almost got trampled in Paris. Gail is the author of the middle grade novel, BREAKING THE ICE (Aladdin/S&S, 2015) and the co-author of YOU'RE INVITED (Aladdin/S&S, 2015). 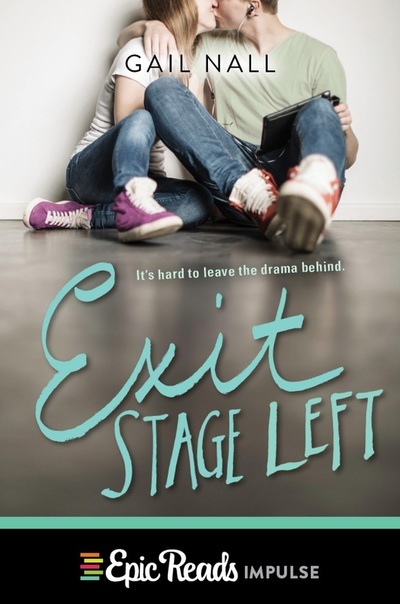 Her young adult debut, EXIT STAGE LEFT, will be published by EpicReads Impulse/HarperCollins on September 8, 2015. You can find her online at gailnall.com and on Twitter as @gailecn. Jen Malone draws on her real-life experiences as a movie studio publicist to bring you an insider peek at love, Hollywood style! Can one down-to-earth girl plus a very famous boy and a whole lot of paparazzi ever add up to a perfect Hollywood ending? Jen Malone writes books for tweens and teens, including At Your Service and the You're Invited series with Simon & Schuster, and Map to the Stars and the forthcoming Wanderlost with HarperCollins. She is a former Hollywood publicist who once spent a year traveling the world solo, met her husband on the highway (literally), and went into labor with her identical twins while on a rock star's tour bus. These days she saves the drama for her books. You can learn more about Jen and her titles at www.jenmalonewrites.com. Senior Year. Middle of nowhere. What's the new girl to do? For Piper Marks, the answer is simple. She's determined to have her photography rock the cover of National Geographic someday, and moving to Clarkton, Iowa for her last year of high school is not going to stop her. Even if her usual subjects have changed from bright lights and skyscrapers to fields, cows…and more fields. L.S. 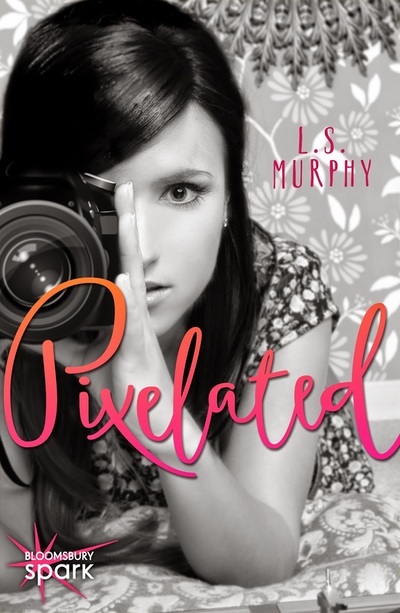 Murphy lives in the Greater St. Louis area where she watches Cardinals baseball, reads every book she can find and weaves tales for teens and adults. When not doing all of the above, she tends to The Bean (aka her daughter), her husband and a menagerie of pets. Her debut YA novel, REAPER, was published in January 2013 through J. Taylor Publishing. A REASON TO STAY, a short (20k) adult contemporary romance, was released in November 2012 through the Calliope imprint of Musa Publishing. Linda also has a finished sports-themed YA novel EXTRA INNINGS about a girl joining a boys' baseball team, and is currently working on its companion novel. No purchase necessary to win. Send postcard to Sensational Summer Giveaway, c/o LS Murphy, PO Box 616, Maryville, IL 62062. Limited to US addresses only.